A major sustainable development challenge for local communities is installing rapid electric vehicle charging stations. Except with IES stations. With Keywatt®you can offer all your fellow citizens, never mind what make of electric car they are driving, rapid turnaround charging areas on the public highway. And, to maximise your parking area, a single station can charge two vehicles at once. Compact and benefiting from ADVENIR subsidies, the Keywatt® stations are very easy to install in the normal electric network at the blue tariff (3 to 36 kW) of the traditional operator. They can also be installed, at modest expense, instead of 22 kW AC stations to provide universal rapid charging. And they can be encased in your community’s colours to blend seamlessly into your urban spaces. Hermetically-designed, built around materials than can withstand bad weather and shocks, connected and monitored constantly remotely, the IES stations have been designed to provide faultless service to your fellow citizens, without the need for major maintenance. 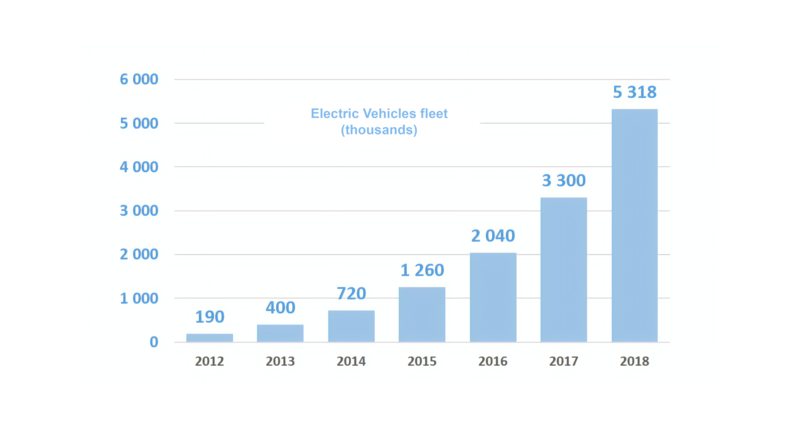 The global electric car market has risen by 50% every year since 2015 and there are now more than five million on the roads. And it is only just beginning!